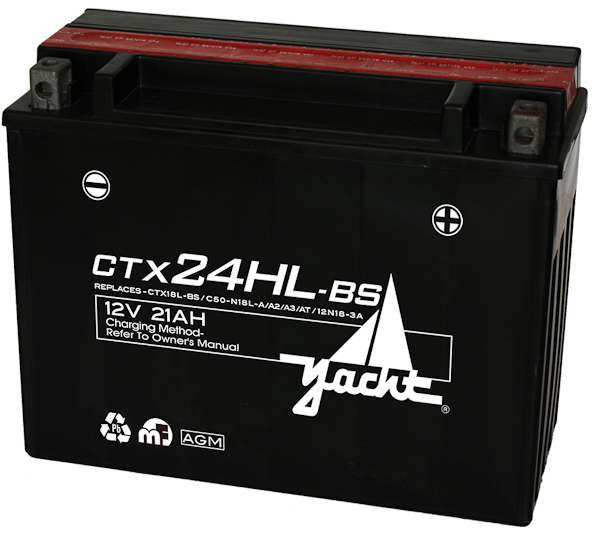 The Yacht CTX24HL-BS is a 12V SLA battery and is sure to start your powersport product. 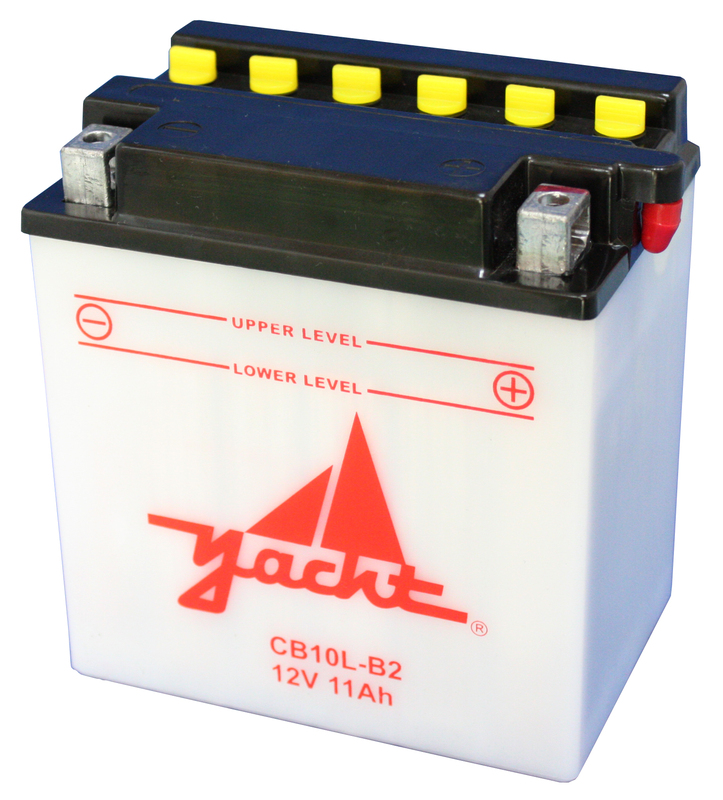 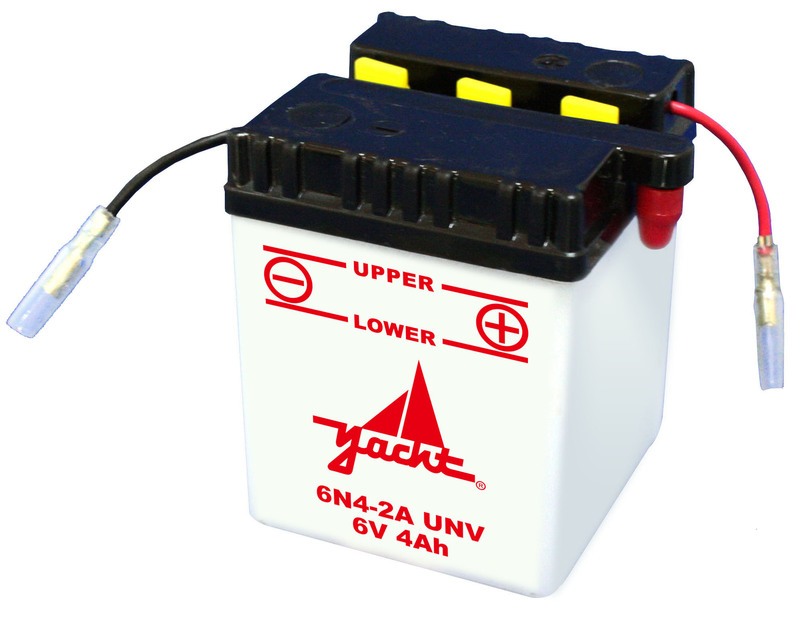 Yacht Powersport batteries are part of our main line for all of your motorcycle, UTV, PWC, and ATV needs. 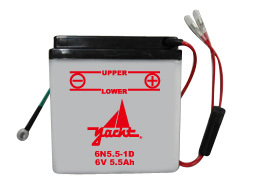 This 12V SLA battery comes with a one-year free replacement warranty and stands above the competition's quality and service. 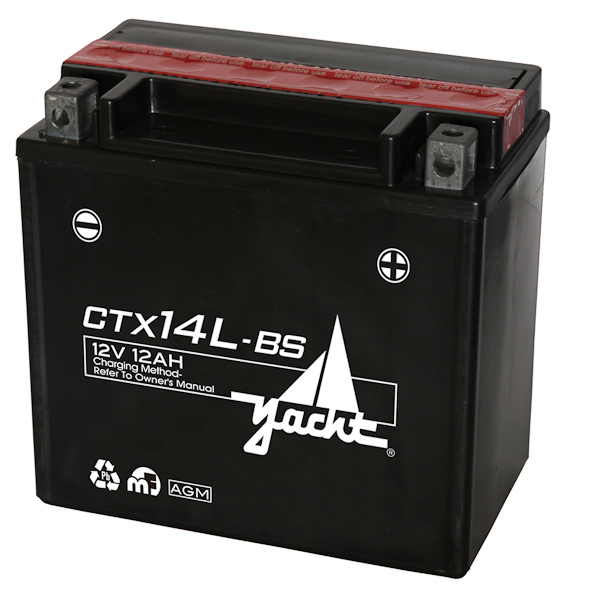 Buy your motorcycle or powersports battery from Battery Outfitters today.